After a pair of back-to-back seasons coming up just shy on the OSCAAR Modified Championship, A.J. Emms confirmed his team will be back once again in 2018 with their sights set on the title. Emms also confirmed that BAE Environmental will be back as the primary sponsor on the No. 14 Modified. 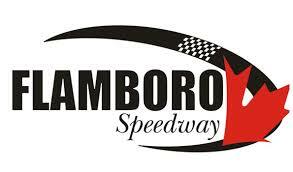 The 2018 OSCAAR schedule will see Emms and company hit a series of tracks across the province, ranging from Sunset Speedway, to Kawartha Speedway, to Peterborough Speedway, Sauble Speedway and Flamboro Speedway. This year will also see the first trip for the OSCAAR Modifieds to recently re-opened Jukasa Motor Speedway. As noted, 2017 was filled with success as the driver of the No. 14 Modified scored six heat wins and eight feature top-five’s. The highlight of the year was mid-summer at Sauble Speedway, when Emms emerged for his second career OSCAAR victory, following up his triumph in the Autumn Colours Classic to round out the 2016 campaign. Now looking to challenge for the championship, Emms says the key will getting more speed out of the car, so they score more checkered flags, while making sure they’re prepared the worst of situations and combat bad luck.